​Casters that eliminate problems associated with kingpin failure. 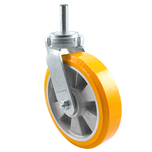 Durastar kingpinless and maintenance free casters can withstand up to 6000 lbs. 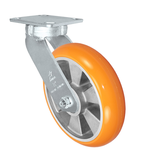 The casters applications are including aircraft assembly, gantries, heavy duty carts, towlines, heavy duty dumpsters, gantries and hand trucks.